Digital marketing has spread its feathers far and long overtime that any other approach to business exposure seems to be outdated and not as good as online business practices. Now the very first thing that people like to do past deciding on the idea of their commerce, is to create an official website regarding the same. Wordpress is all what you as a startup need to develop your unique website that helps you to connect to millions of people across the globe. There are several different ways to install WordPress on your mobile, tab or computer depending on your needs. Every Method of installing WordPress has its own purpose. You need not install WordPress the same way all the time while your purpose is different. For example, you have got to install WordPress on your localhost for testing. Testing on a live website is not the task of a person with sound mind.Thus, it’s better to install WordPress through a method that’s compatible with your need. This blog mentions all the famous methods used for installing WordPress on your web server or your local computer, in detail. Let’s start. Yes, you can also install the WordPress manually. All you need to do is uploading files through ftp client on online file manager, creating a database with a user with permissions to it and install it live on your domain. Want to know how the whole process takes place? Let me take you through the steps. Step4. Create a MySQL Database by typing a name of the database and hitting create. Step6. Make sure you assigned all the privileges to the database user. Step8. You can easily find wp-config.php there. Right client on it to edit it. Step10. Now save the file. Step13. Choose your preferred language and proceed further. Step15. After filling the information above, hit the install button. Step16. Woohoo. We just did it. Now sing any victory song. There is more about installing wordpress on 000webhost.com and I recommend you to check it out. Softaculous is indeed the easiest way to install wordpress on a web server. All you need to fill the information and hit install. The database will be created automatically and the files will be uploaded too. The process is too easy. Step1. Go to cPanel and find softaculous and open it. Step4. Type the folder name you want to install wordpress in or leave it blank to install in the root directory. In this method, you will have to install wordpress manually. But not using cPanel file manager. Extracting the wordpress core files in the xampp/htdoc folder will do the trick. Let me tell you how to install wordpress on your local host. 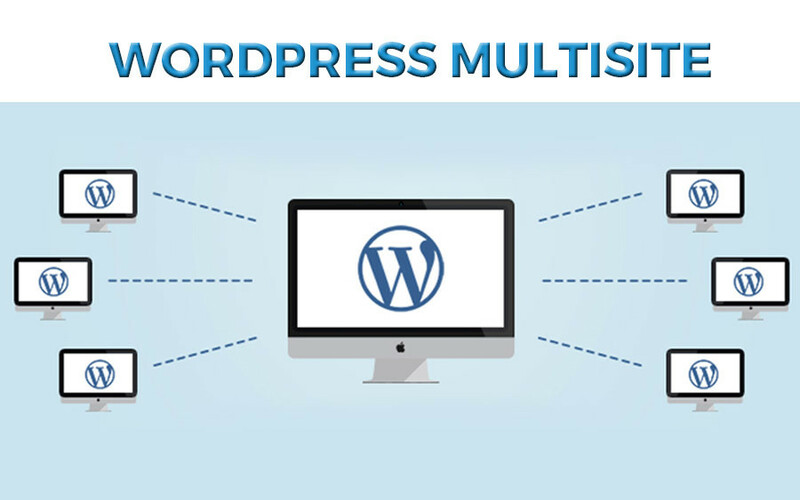 Wordpress multisite is used when you want your users to start their own website/blog on your network. One of the simplest way to install wordpress is by using the pre installed themes. This is just an extension of installing wordpress using softaculous or any other auto installer script. Mostly people skip the option of choosing a wordpress theme that they want to be there in their blank wordpress install. WordPress is a free and open-source content administration framework in light of PHP and MySQL. To work, WordPress must be installed on a web server, which would either be a piece of an Internet facilitating administration or a system have in its own right. Being a business person or a newbie in the challenging commercial world online, you need to create a reliable, attractive and well-structured website first; by using Wordpress. And now you can do it depending on your own choice! Pick any of the 5 ways that suit you and your needs the best and make your dream website in no time. We hope this blog with step by step explanation for installing your Wordpress have helped you.